Summit County abolished jobs in the Summit County Department of Human Services in 1997, citing “welfare reform.” Two of the deciding officials eventually went to jail for skimming county welfare funds, while Attorney Grim appealed the unjustified job abolishments of seven civil service employees. After ten years of litigation, through the county Human Resource Commission, the common pleas court, and multiple higher appeals, the court ordered reinstatement and promotions and nearly $1.5 million in back pay and retirement benefits. Columbus Mitchell, an African-American, was selected for termination as part of a large reduction in the workforce at Chrysler. Despite the complex process created for rating employees before the layoff, Attorney Grim showed that racism and retaliation for opposition to racism were the key factors in selecting Mr. Mitchell for layoff. The parties reached a confidential settlement. Dr. Ayham Y. Haddad, M.D. contracted to provide medical care to inmates at the Ohio State Penitentiary. Dr. Haddad believed that even “the worst of the worst” deserved reasonable medical care. After inmates sued because of the conditions at the penitentiary, Dr. Haddad testified on behalf of the inmates. Dr. Haddad’s contract was terminated.  Attorney Nancy Grim filed a suit under federal civil rights laws, for interference with the rights of Dr. Haddad’s constitutional rights of expression and association, and for obstruction of justice and intimidation of Dr. Haddad due to his testimony in the inmate case. The parties eventually reached a substantial settlement. Joan and Gary Harrison, husband and wife, were employees of Defendant Digirad Imaging Solutions, Inc. Ms. Harrison was subjected to sexual harassment at the office of a client. Her employer failed to take prompt or effective action to protect her from the hostile work environment, and demoted her husband on the same day of Ms. Harrison’s complaint. Attorney Nancy Grim sued. The parties eventually reached a confidential settlement. Cottrell had worked successfully as a manager in logistics and telecommunications for many years. However, when she joined Exel as the only female general manager in the automotive sector, she found a work environment hostile toward women in management. The parties reached a confidential settlement just before trial. Marsha A. Vazmina, a long-time clerk employee of the U.S. Postal Service, was denied a routine request for transfer to Las Vegas after she was diagnosed with multiple sclerosis, and needed a walker or wheelchair to get around. Vazmina was able to perform the essential functions of her job, and other Postal Service jobs, with reasonable accommodations. However, the Postal Service refused to accommodate her disability in Las Vegas. Attorney Grim sued under the Rehabilitation Act, which protects Federal employees from disability discrimination. The EEOC held a trial and an administrative judge ruled for Vazmina. When the Postal Service prolonged the case with appeals, Attorney Grim took it to court. Eventually, Vazmina obtained a substantial settlement, including compensatory damages, restoration of sick leave and attorney fees. Chris Kerper-Snyder and Carrie Lavery courageously fought to organize a union with their co-workers at the Juvenile Attention Center. After retaliatory discipline, they sued to stop their government employer from retaliation for their union organizing activities, a violation of their federal civil rights to free speech and association. Attorney Grim worked with attorney Richard R. Renner to take the case to court, eventually reaching a fair settlement.